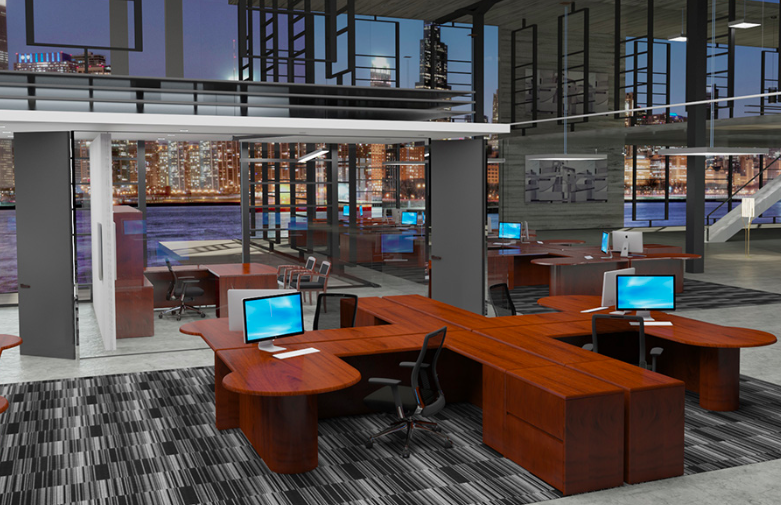 This 66"W straight front executive desk from the Cherryman Industries Ruby collection features a rich cherry finish and includes 2 desk side pedestals for organizational needs. 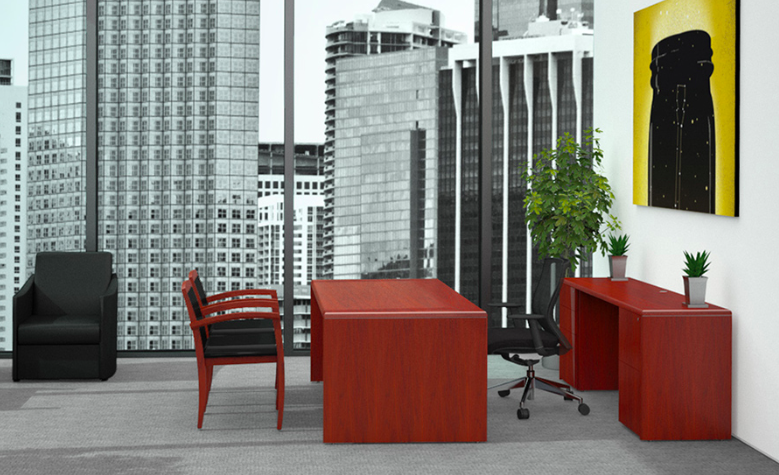 This rectangular pedestal desk is available with a wide selection of matching storage components, seating, and tables to further enhance common business areas. 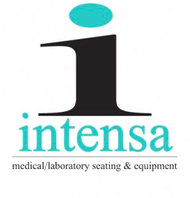 *Ships in 3 Total Cartons For Easier Off Load! 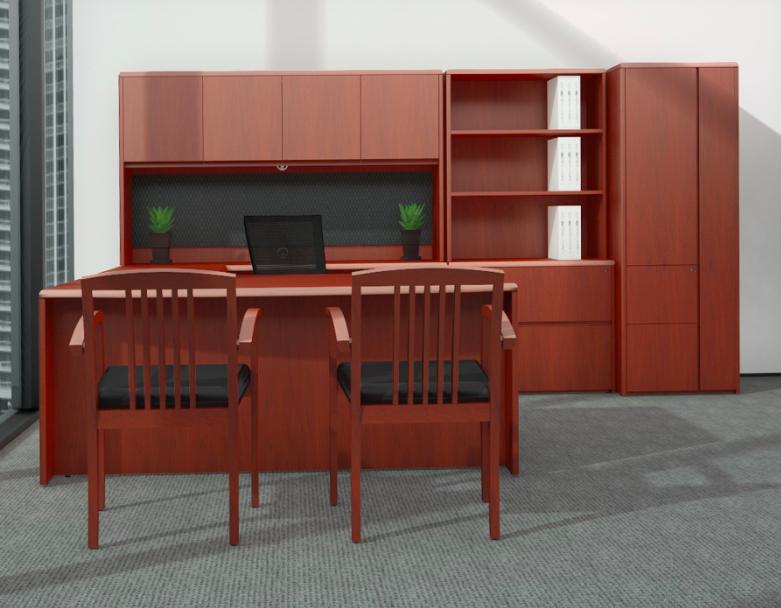 The office furniture from the Cherryman Industries Ruby collection is elegant, timeless, and practical. If you're looking to skip today's overly modern design trends, the traditionally inspired components within this best selling collection are a must consider. 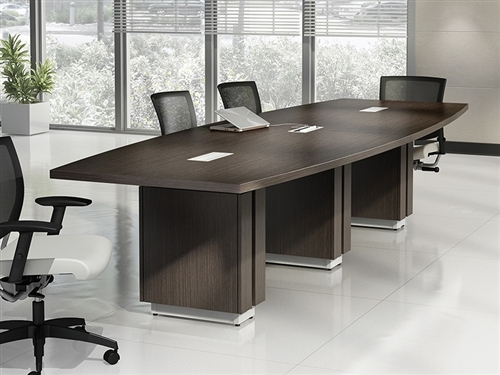 The Ruby series offers professional executive desks, oval conference room tables, guest reception stations, and matching cabinetry. 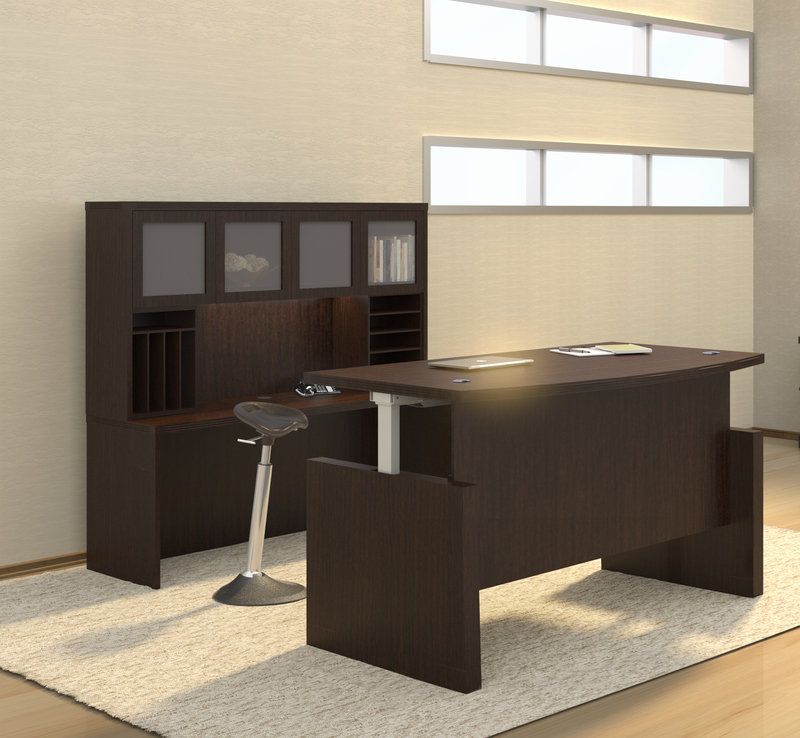 This full service line makes it easy to create upscale interiors that are never going out of style. 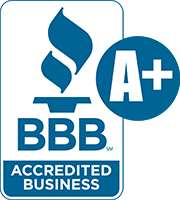 Ruby furniture is backed by a 10 year factory warranty. 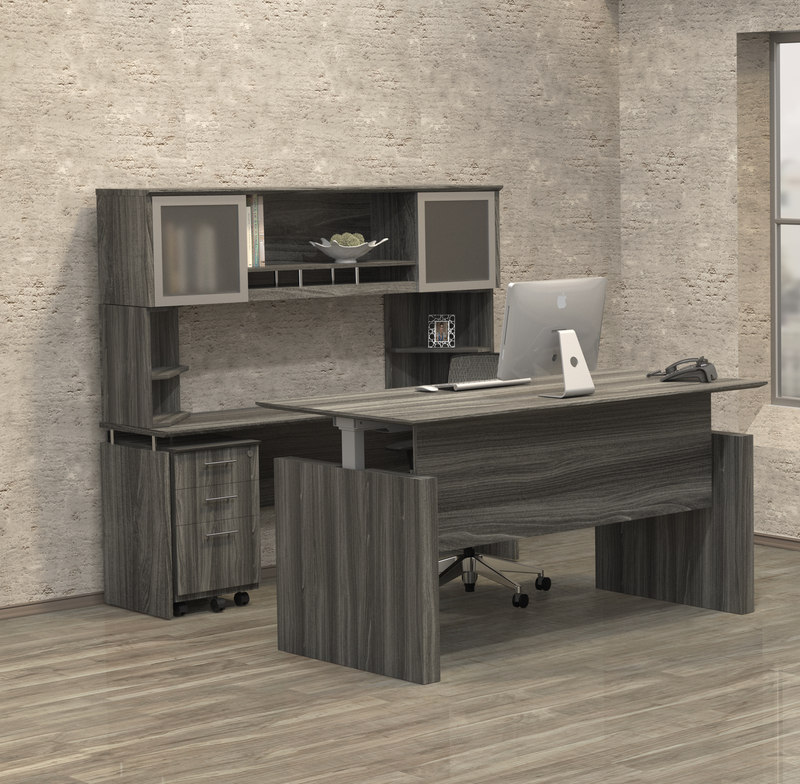 The veneer pieces from this line can even be used to create collaborative workstations for multiple users as an alternative to high wall panel furniture systems. 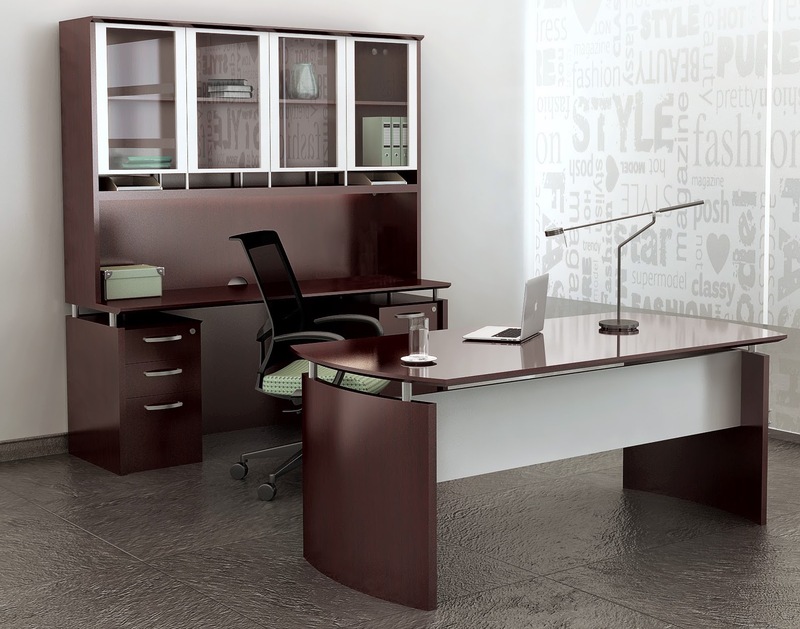 Paprika Cherry flat-cut and slip matched, closed pore premium grade veneer. 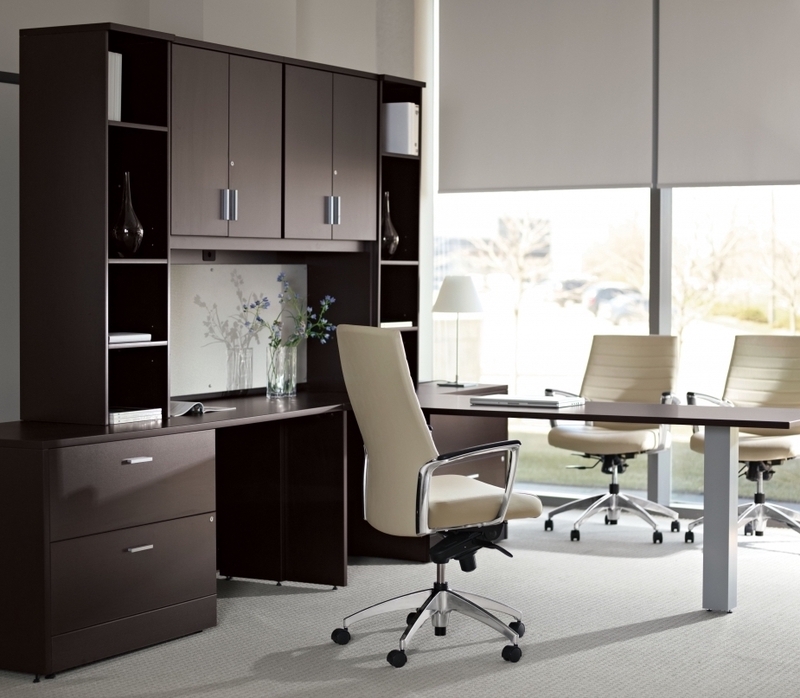 Stain-resistant and mar-resistant in satin sheen veneer. 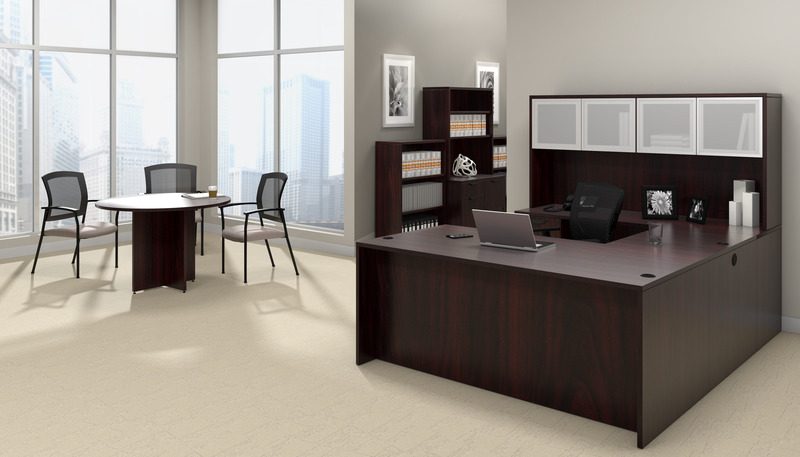 Tops, side panels and cases use 1" thick three ply balanced panels of particle board finished in premium grade veneer. 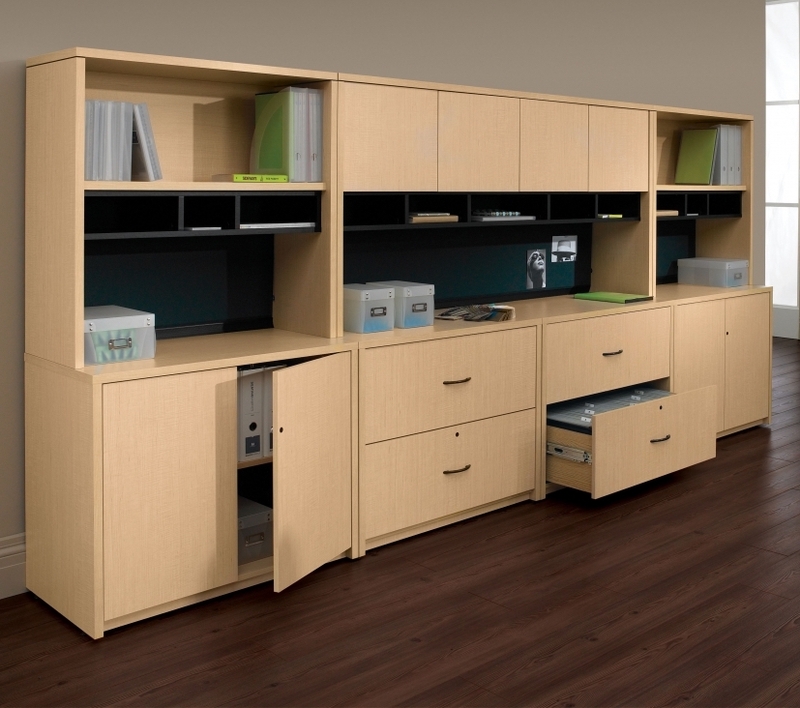 File drawer fronts use 5/8" and drawer cases use 1/2" three ply construction in matching melamine. 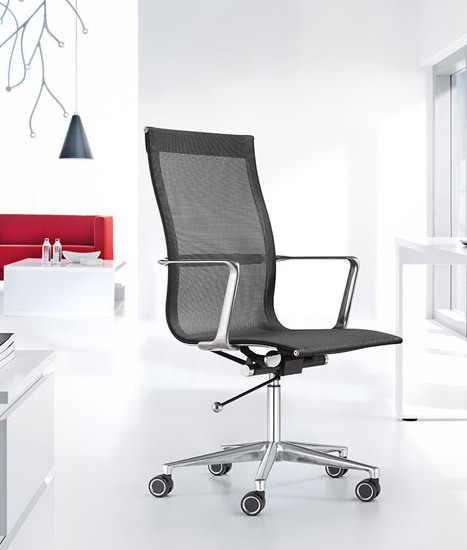 Available individually and as apart of pre-configured workstations designed for executive home and commercial office applications. 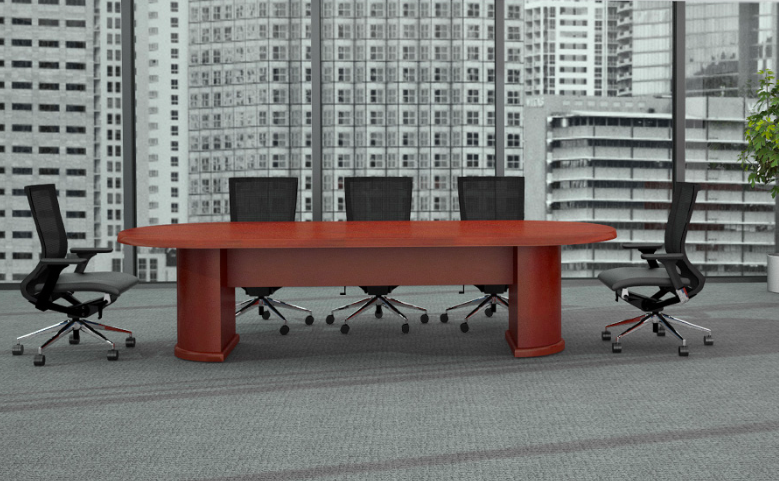 7 sizes available including 2 round tables for smaller meeting areas and 5 full sized conference room tables with oval tops and half-slab bases. 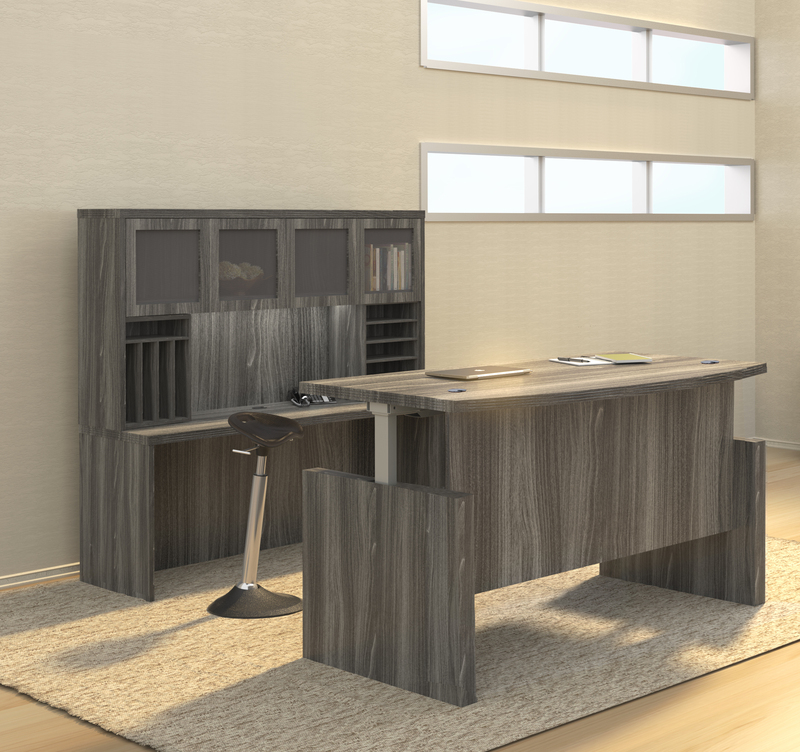 Solid wood radium profiled edge on all 4 sides in matching veneer. Full extension metal ball bearing slides. 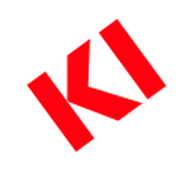 File drawers accommodate both letter and legal filing. 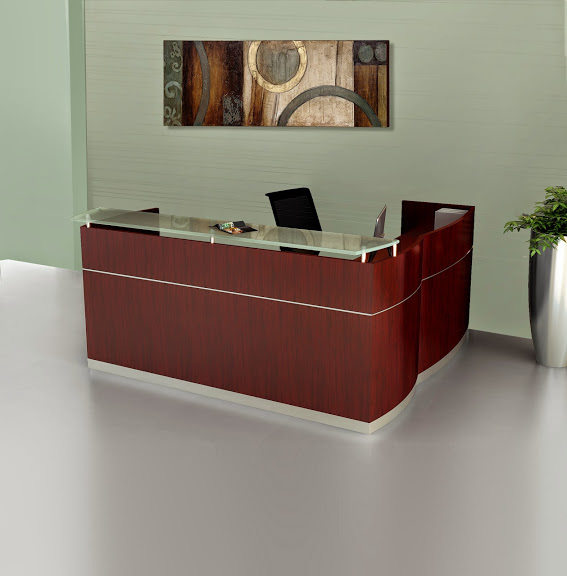 Distinctive finger pull design matches caseload veneer finishes. 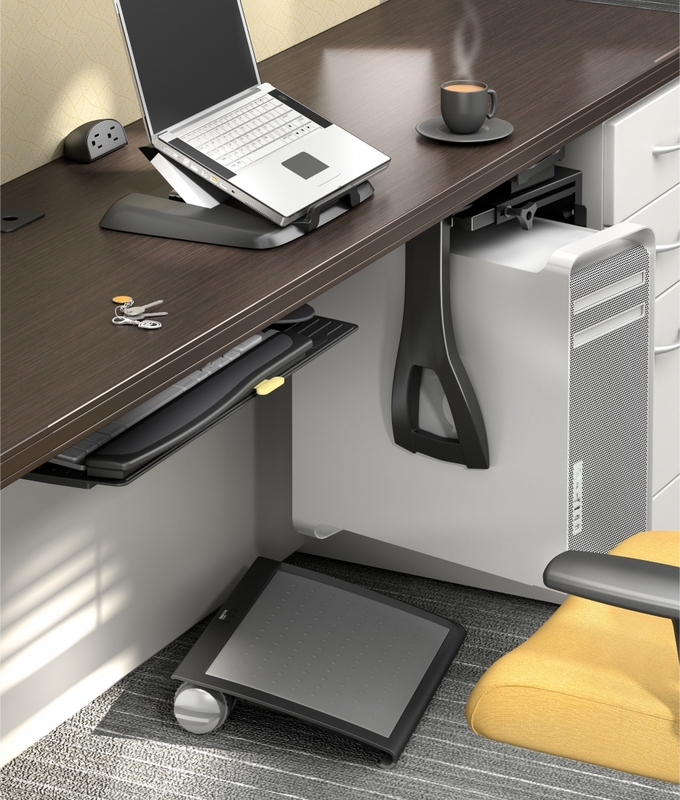 Grommets for data and power cable provided in all bridges and crede.